I thought it was time to try something different on my nails. 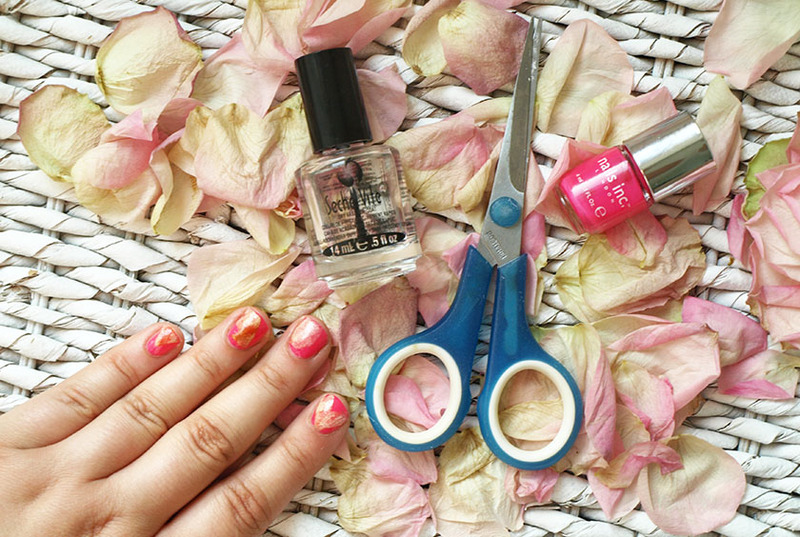 My beautiful pink roses were dying, so I used the petals to create this unusual manicure. It isn't perfect, but the effect is very pretty in real life. I used Nails Inc Notting Hill as a base and let it dry completely. 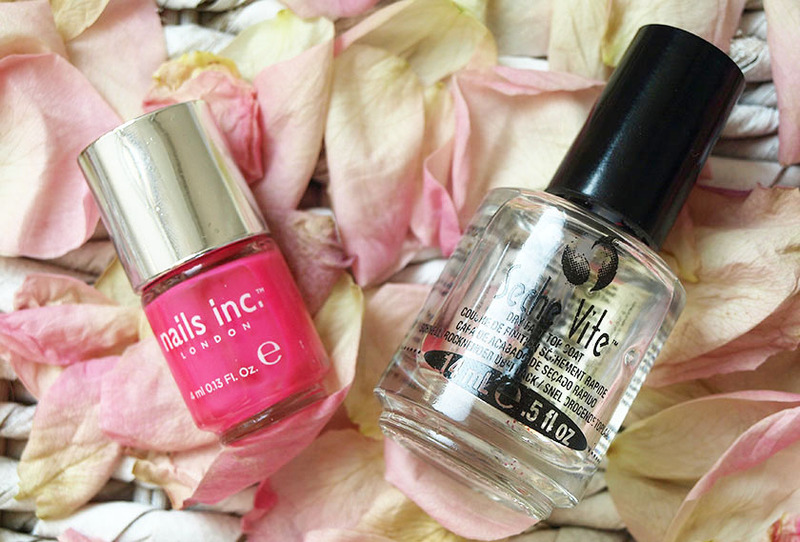 I then added a coat of Seche Vite and stuck the rose petal shape to my nails before the nail polish dried. 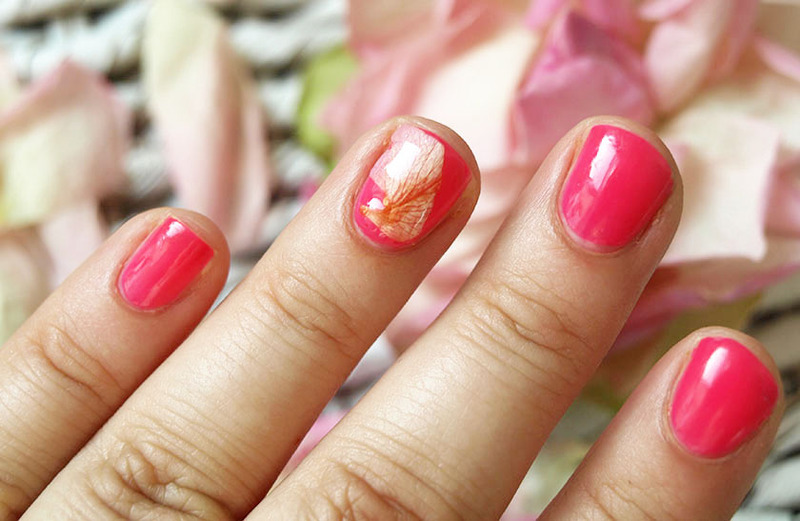 To seal the design, I added another layer of Seche Vite. I will definitely try something similar in the future. What do you think?